Would you like to win the $20 million prize the Google Lunar contest? This was the big excitement this week for the Carnival of Space. We had several posts addresses various parts of the contest. Brian Wang of advancednano has a plan in his outline for how to win the Google Lunar Xprize. It seems doable. Also in response to the Google Lunar contest Brian Dunbar from Space For Commerce muses on How To Make a Small Fortune in Space. I love his third thought. At Discovery Enterprise Ralph Buttigieg and Alex Bonnici have been looking how exploration of the Moon can inspire generations in More on the New Moon Race. Ralph has a close look at the Google Lunar Xprize and responds to some of its critics. In Roving on the Moon, Cumbrian Sky looks at the ways in which the Google Lunar Contest might inspire future generations of explorers and engineers, and help kill the "Moon Hoax" myth once and for all. 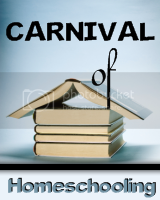 We have a few other topics to cover in this week's carnival. The Astroprof writes about the beginning of the International Lunar Decade, a proposed 12 year period of time in which a multinational cooperative effort can augment lunar exploration. The Space Cynics getting tired of "announcements" of great things space agencies intend to do that are 20+ years from now (and somehow never seem to materialize...) in their post Anyone Can Take a Reservation. Ian Musgrave writes I Miss My Notebook on his blog Astroblog. An unexpected astrophoto turns up and brings a wave of nostalgia for a lost notebook. The Pioneer spacecraft were first to explore the outer Solar System. The Doppler shift of their faint radio signals led to the mysterious Pioneer Anomaly. A Babe in the Universe explores a possible solution to this anomaly in her post Pioneers. The Carnival of Space will be held next week at wanderingspace, click here for information on submitting a post. I love his third thought.